Young, Fabulous and a Foody! : I Heart This....Snack! 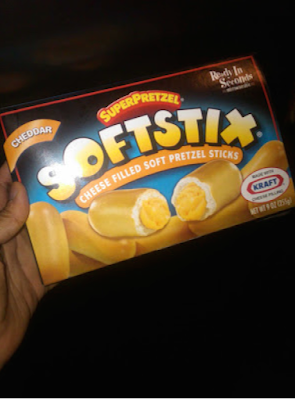 I love Super Pretzel's Soft Stix...so good! they are little bite sized pretzels with cheddar cheese in the middle, so delicious. You just heat them up in the microwave for 30 seconds and Voila! Enjoy!